Happy hump day, Friends! If you've been following me over on Instagram, you know I've been playing with these pretty colored pencils and that I promised to share my first impressions, and some info about which brand of professional colored pencils I prefer: Polychromos or Prismacolor Premier. Sharpened tip is a little shorter, so you lose detail quickly. To remedy this, I simply re-sharpened all my brand new colored pencils with a longer fitting, which is just a little bit extra work when you first get the hues. A tiny bit less creamy, and smooth to apply. But after a little bit, I hardly noticed the difference. Still provides excellent coverage. 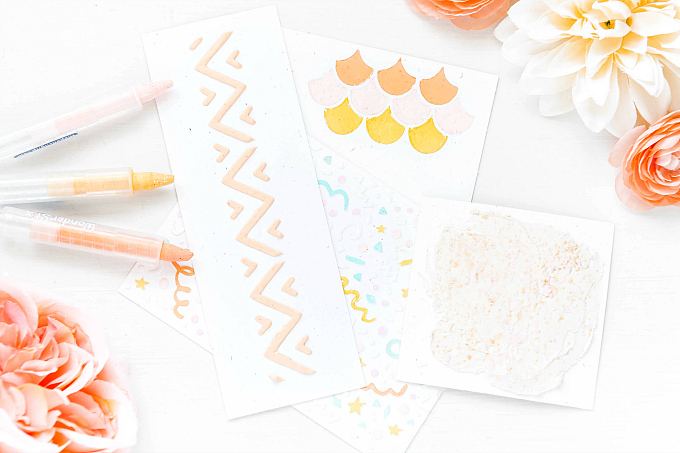 Soooo before we get to the final verdict, here is a quick little tutorial on these darling hearts I've made using my favorites SSS background stamp and all these beautiful hues. As you can see, the coverage is extremely smooth, colors are vibrant, and both pencils work on regular and darker cardstock, as well as vellum. Love! I would highly recommend both of these brands, but I do believe there are some distinct differences that make each option favorable. Firstly if you are wanting to just give these a try, for purely crafting purposes, I would recommend buying a couple of the open stock hues, and giving them a whirl, before you decide to invest into large packs. Pick a few colors you know you will love and use, so that the duplicates are no big deal. If you are not particular to either brand, or the pros or cons of each, I would say there's nothing wrong with having a mix of the two. I found them to work beautifully together, and actually love that each brand carries different hues, making it a lot easier to create your own palette. 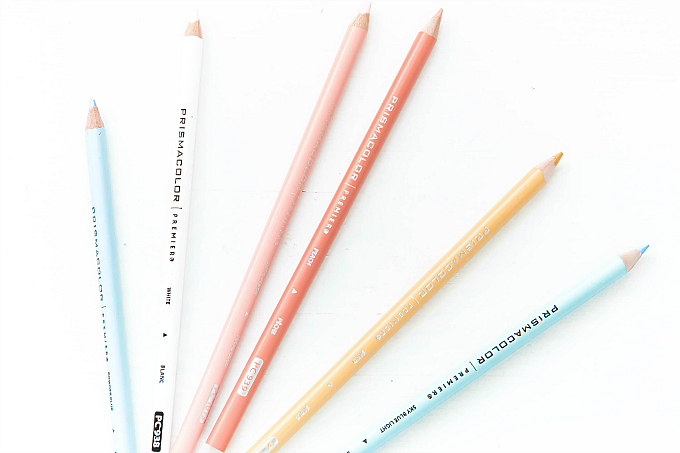 I found one of the brands tended to lean more towards cool greens, where the other offered warmer greens, and I think a lot of that has to do with how you plan to use your pencils. If you plan to do a lot of blending (or mixing colors together), then it makes sense to pick up a few cool greens and a few yellows, which you can mix together for those warmer greens. Personally, I love having the already mixed hues within arms reach, since it makes it so much easier to get consistent results and I can match my colored pencils to all the beautiful inks in my collection. So I would pick up hues from both collections to get good overall coverage of all sorts of greens. But I am also excited about learning more about blending in the coming months, and my opinion on this might change (I'll update if that happens). If you are price sensitive (which, let's be honest, most of us don't love to spend hundreds of dollars on a new medium!! ), then I would highly recommend going with Prismacolor Premier line since the results are fantastic!! I only noticed a few times when I had to press a little hard to get a bit more coverage (especially with lighter hues on darker cardstock), but it was not that challenging. After a little while, I could hardly tell any difference. And I loved that Prismas come in alllllll shades of pastel. Again, something you can achieve by using a bolder hue and blending with white, but for now, I sort of prefer just getting all my softies as they are. 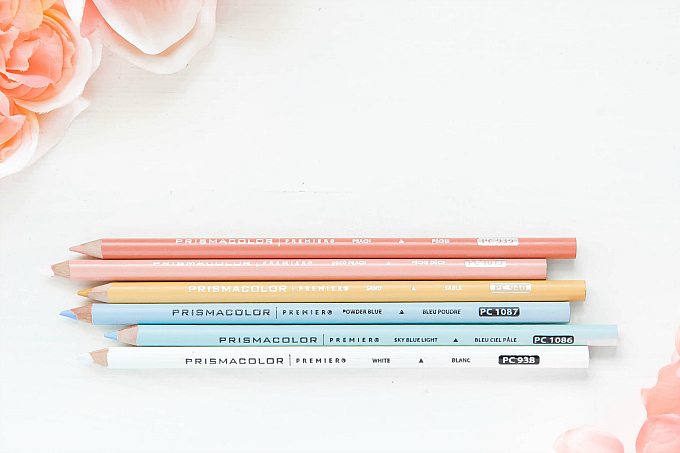 Overall, for crafting purposes Prismacolor Premier pencils work beautifully and are a much more affordable option. If you think you might become very serious about other artforms such as colored pencil drawings, then it might make sense to invest into Polychromos from the get-go. I plan to use both of my new beauties a lot in the coming months, so be sure to head over to my Instagram feed and back here, to see all the pretties!! Thanks for the comparison info! I hope it's somewhat helpful, Lisa! Thanks for your visits, friend! ME too, Michele! they are fantastic! And for the price point, sure can't be beat if you're just getting into these funsies!